At Fretz RV we’re proud to be the leading Jayco RV dealer in Pennsylvania and we’re celebrating Jayco’s 50th anniversary! 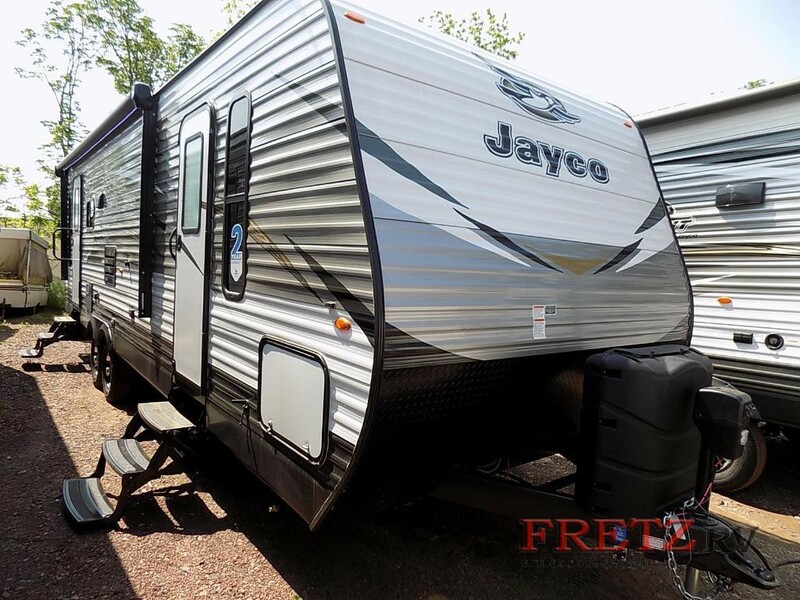 In the past 40 years, we’re featured a wide variety of Jayco RVs from class A motorhomes to pop up campers to models like the Jayco Jay Flight travel trailer for sale right now! Learn more on what’s to love this Jayco Jay Flight travel trailer review! 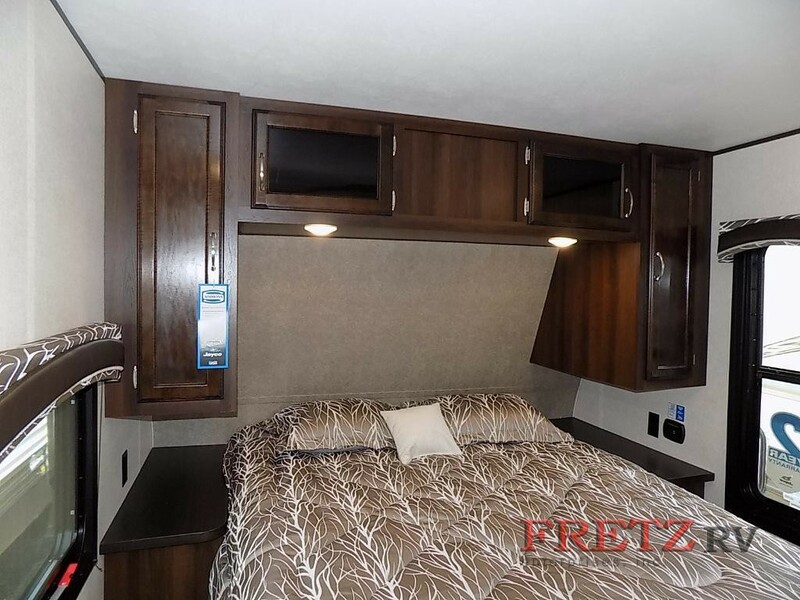 Find more Jayco RVs for sale at Fretz RV! 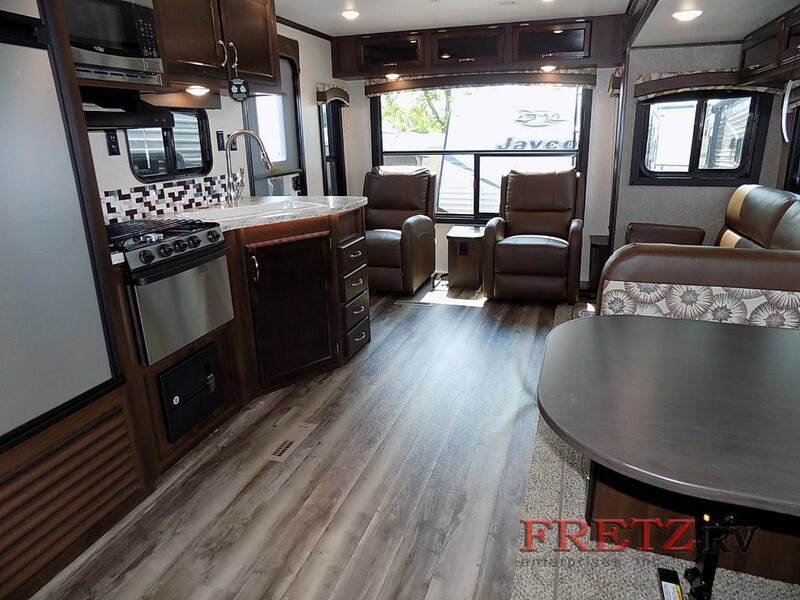 This model features the Jayco’s Customer Value Elite Package, which includes 32″ TV, two-sided reflective foil insulation and enclosed underbelly, 15,000 BTU A/C unit, aluminum rims, and a roof ladder. It has a fully integrated A-frame and Magnum Truss™ Roof System with seamless Di-Flex II material, so you know this travel trailer will be able to withstand the tests of time! Step inside, and you’ll find gorgeous cabinetry with plenty of pantry and wardrobe storage. The oversized rear window allows the natural light to fill your living space and the 81-inch ceiling will make you feel right at home. Cooking everyone’s favorite camping meals will be a breeze on the 3-burner range with 9,000-BTU SuperBurner™ and piezo igniter. The dinette folds easily down into additional sleeping space! The Jayco Jay Flight is the perfect home away from home for a family of four! The master bedroom features a queen Simmons® mattress with residential-height plywood bed platforms. You’ll never have to worry about running out of fresh water because this travel trailer comes with a second fresh water tank that gives you an 80-gallon capacity! This model also features Bluetooth and HDMI connectivity! Gorgeous queen bed with plenty of storage and dual night stands! If you’re ready to make your next RV a Jayco, then come on down to the largest Jayco dealer in Pennsylvania and let us help you take home the RV of your dreams. Contact us today!